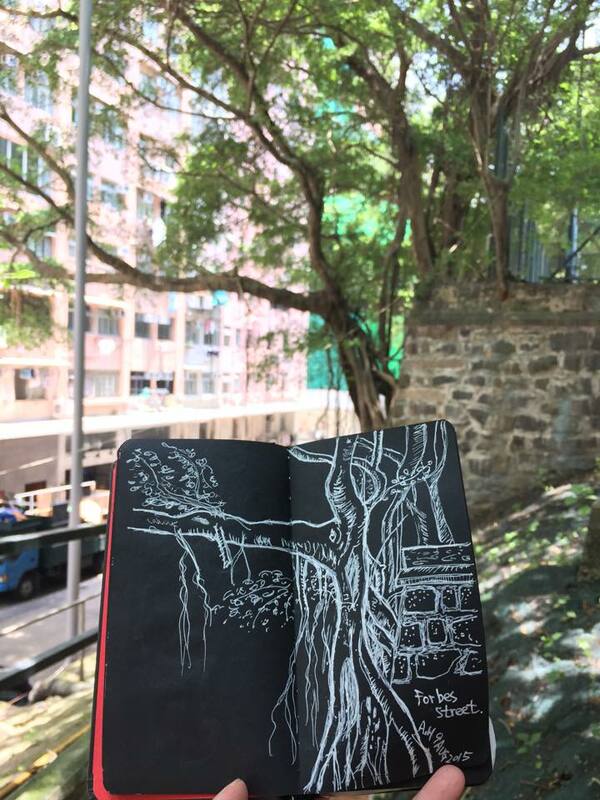 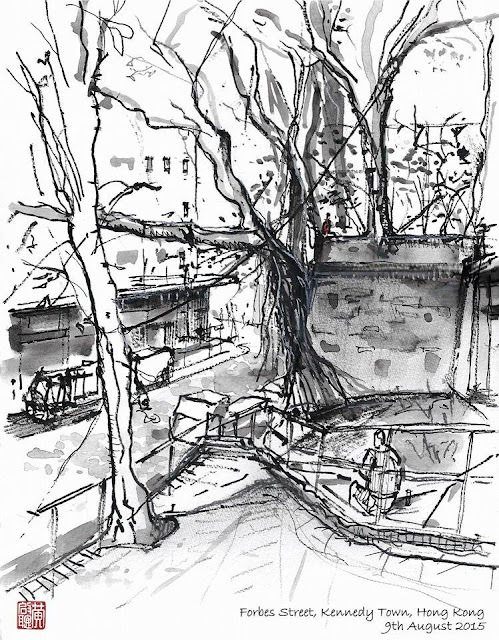 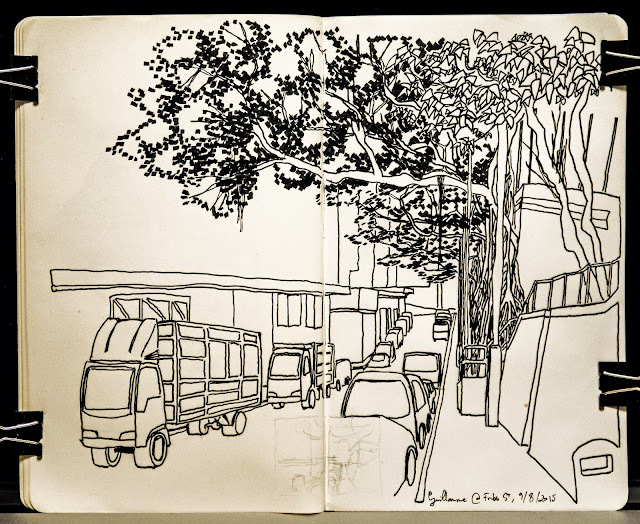 On 9 August, Urban Sketchers Hong Kong assembled at Forbes Street and spent a morning sketching the largest group of wall trees in Hong Kong. 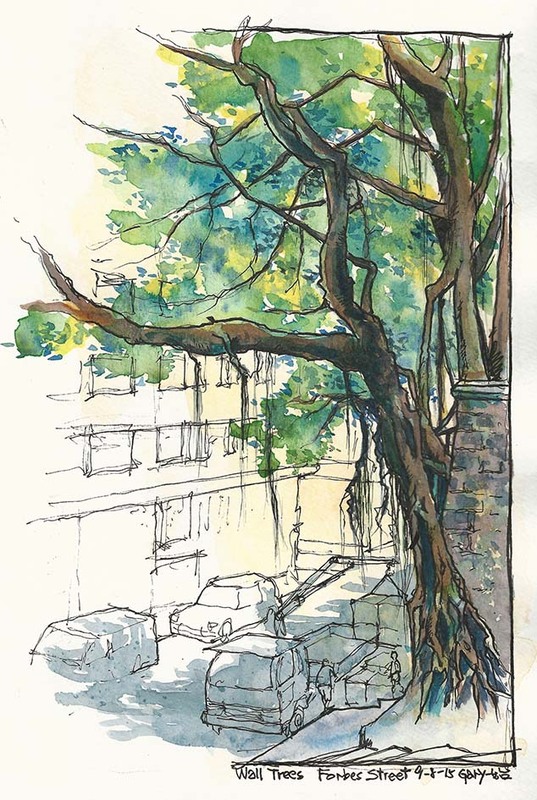 The wall trees are Banyan trees (Ficus macrocarpa). Their aerial roots grow on masonry walls in an intertwining manner and gradually thicken into wooden trunks, therefore attaching themselves firmly on the walls. The combination of banyan trees with these pre-war masonry walls is truly an icon and treasure of Hong Kong and thus they should be well-protected! Where are they located? 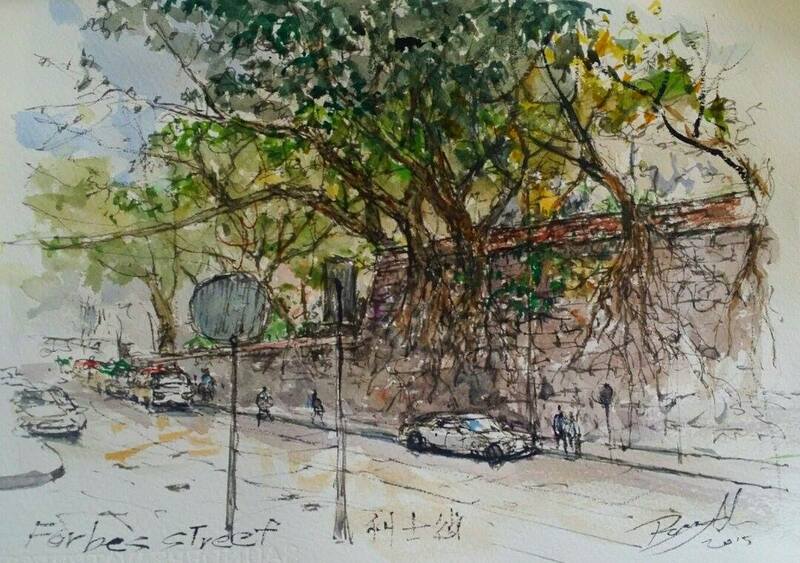 I remember walking past some near Central.